For some reason, putting Easter baskets together for my kids is one of my favorite times of the year. There’s way less pressure than Christmas and spring is just about to come! This year we’ve got a 3-year old and a newborn, so it should be extra fun. 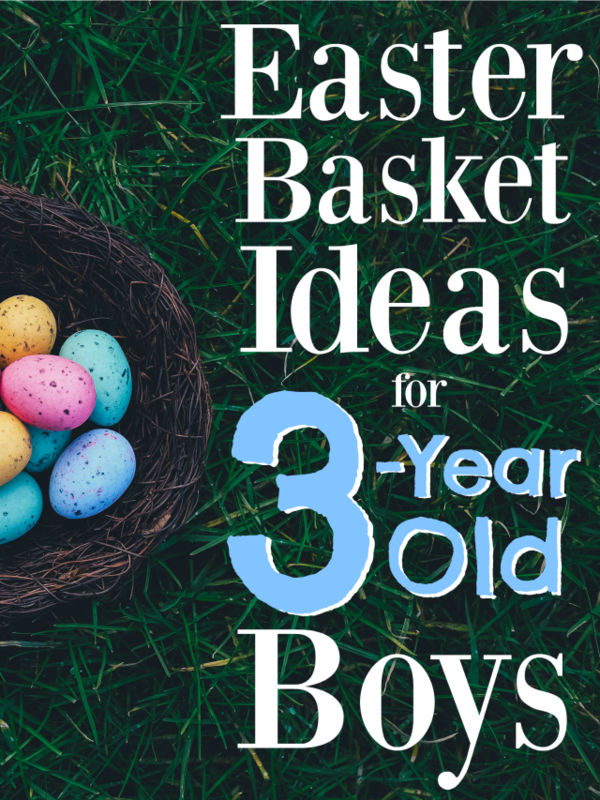 While I’m sure my 3-year old would have been satisfied with a basket full of trains, I am bound and determined to make it well-rounded and still tons of fun (if you also have a train obsessed boy, you may just want to check out this post → What to Get for Your Thomas the Train-Obsessed Little Boy). 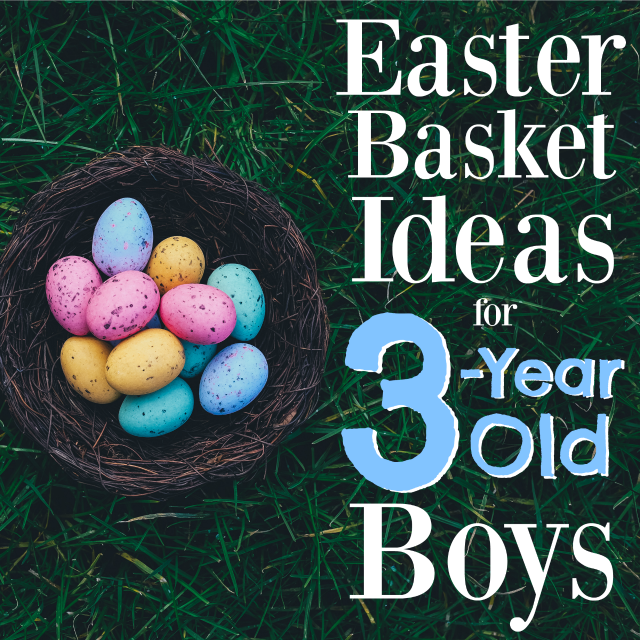 So if you’re looking for Easter basket ideas for 3-year old boys, check some of these out! I don’t want to fill this list with bath toys, but these water pipes are just too perfect for 3-year old boys and are definitely going to make an appearance in my son’s basket this year! They suction to the bathroom wall either together or alone so that your little guy can pour water through the tubes. If your little one is engineer-minded like mine is then these are perfect. My son has never been the craftiest kid, but occasionally he would sit down and color…until he was given a set of paint sticks. Now, it’s one of his favorite activities to do. The best part is that these paint sticks truly are mess free, so you don’t need to stress like you normally would if you were to set your 3-year old up with paint. Little boys are all about exploring and 3 is right when they get started! Flashlights are fun for them outside and inside, so you really can’t go wrong. They’re also a great tool to use if you’ve got a little one that doesn’t exactly want to go to bed alone. And they’re the perfect size for an Easter basket! My son is obsessed with trains, so these Thomas Minis will surely be a winner, but what I really love is the size because they can fit right in an Easter egg! They’re also the perfect toy to take on the go that doesn’t require a huge setup. If you think this is something your son will really love, there’s a great case that actually has a small track on the bottom (we’ve got 2 now!). Now that spring will be here soon, it’s time to fill up on chalk! Bright and colorful chalk has been one of the best ways to get my little guy out of the house and it will occupy him for hours. Doesn’t hurt that it’s inexpensive and the rain cleans up for me! This is a cheap and easy add-on for any Easter basket. My son goes crazy for his bath crayons, so they make an appearance during each and every gift-giving opportunity. It’s how he’s learning to read and write…and clean the bathroom wall! I’m also a fan of anything that makes bath time more fun and entertaining. And if your house is overrun with toys, consumable gifts like this are perfect. If you’re going to make bath time fun, then you can’t go without Bath Dropz. They will turn the bath whatever color your son chooses AND it’s a great way to teach colors (what does red and yellow make??). And just like the bath crayons, they’re consumable so they won’t live in your house forever. Giant puzzles are all the rage now, which is great because they’re a classic toy that doesn’t make noise, light up, or require batteries. Melissa and Doug have a great collection of giant puzzles that are perfect for 3-year olds (a fire engine, dinosaurs, and an alphabet train), but you can also find them in your son’s favorite characters (we, of course, have a Thomas the Train one). I’m not the craftiest mom out there, so when I give my son crafts, I try really hard to not make them messy. We don’t even own a smock, so real paint is still something I avoid. Which is why Paint with Water books have been a blast for both my son and me. He loves seeing the colors appear and will surprisingly spend a fairly long time working on them. Even if you don’t have a train lover, a train whistle will most likely be a huge hit….because what 3-year old doesn’t like making noise? These are so simple and give them a great opportunity to use their imagination. If your 3-year old hasn’t experimented yet with play doh, now is the time to introduce them! Play doh seems to show up everywhere, so make sure your little one has some fun tools to use when they’re playing with it. They’re cheap and easy….and most importantly, another non-battery, non-noisy activity.